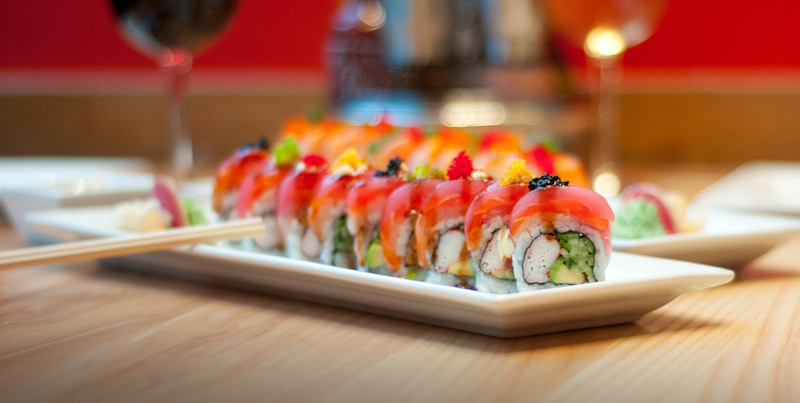 ...where a kaleidoscope of ingredients come together to craft one-of-a-kind fresh sushi and burger dishes to die for. Then they collide to form a crazy but delicious new food called “burgushi”. 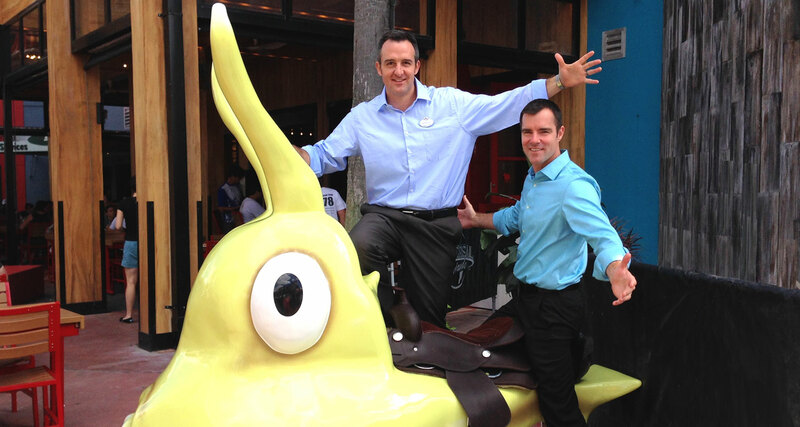 And a lovable, responsive wait staff, original pop art, and larger-than-life fish tanks –with actual cowfish—top it all off to make The Cowfish a crazy good experience. So declared Marcus Hall when his business partner Alan Springate called him with an idea to create the first ever sushi burger bar. Yes, freshly prepared sushi and burgers under one roof. But Marcus, given to routine idiocy himself, embraced the idea. Strangely enough, The Cowfish was born. For more of this bizarre tale, bravely enter here. or are you just happy to sashimi? Attack our Angry Lobster, or check out the Tropical Storm Roll, a tempting ménage of sashimi (tuna, salmon and yellowtail) layered atop a cucumber, avocado and kani roll. The Cowfish burgers are made from ½ pound of all-natural beef, turkey, lamb, or bison. And all our meats have been raised humanely—never spanked, only put in time-out—and never, ever given antibiotics or hormones. These aren’t your drive-thru burgers, people. We double-dare you to try the Big Squeal, a half-pound beef burger topped with pulled pork, smoked gouda cheese, onion strings, bacon coleslaw, BBQ sauce, lettuce and pickles on a brioche bun. Holy cowfish! What a mouthful! Is it a burger? Is it sushi? No, it’s Burgushi®, a cutting-edge fusion of sandwiches made with sushi stuff, and sushi crafted with burger stuff. Take the All-American Bacon Double CheeseBurgushi: seasoned all natural beef, yellow and white cheddar cheeses, applewood bacon, and red onion, wrapped in soy paper and potato strings then flash fried. Topped with ketchup, mustard, dill pickle and Roma tomato. fish and lamb who walked into a bar? The Cowfish bar is really no joke. Yeah, it’s fun to sit there, eat your meal and watch the game on TV or get mesmerized by the big-honkin’ aquariums. But the drink menu is serious. Craft beers from local breweries; everything but ordinary cocktails and martinis; affordably delicious wines; premium sakes; spiked, hand-spun milkshakes.